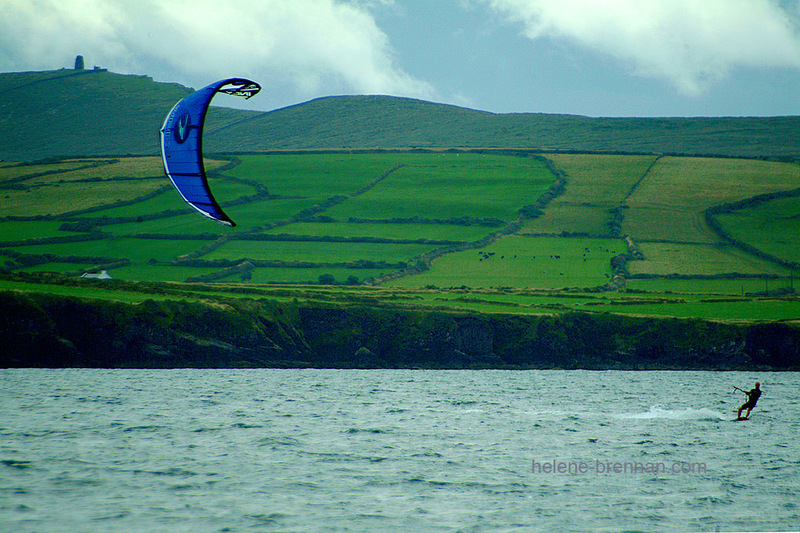 At Ventry Beach, a kite surfer enjoys a breezy day. Eask Tower is on the top left. Unframed for easy posting. Framing may be available. Please enquire.